Big news about Krig RAWR! 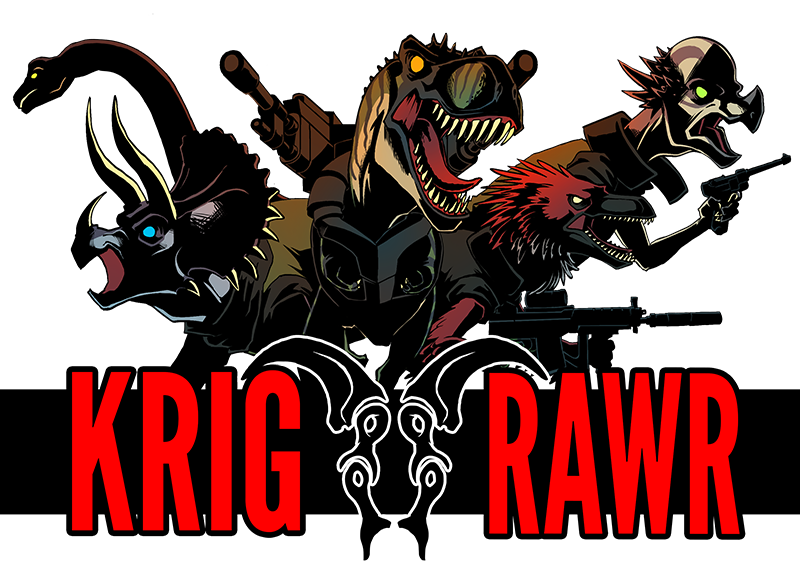 Big news about Krig RAWR! published on April 1, 2014 Read more posts by the author of Big news about Krig RAWR!, admin9 Comments on Big news about Krig RAWR! Today starts a new and bold change for Krig RAWR. Something we hope you will all like. We all know that the site haven’t been publishing any pages for a while now. That’s mostly because Mirjam recently moved to another town and have no time to work on the webcomic. But now we have the solution! We recently realized that the most time effecting way for this webcomic to work is if we switch roles. Mirjam will do the writing and Tomb will do the drawing. Tomb’s art really brings the characters to life and Mirjam’s writing are both witty, serious and a clever take on society. We really think this will bring Krig RAWR to the next level. Tomb’s simple technique will also allow us to make at least a new page every second day. Something a lot of users has been asking for. We hope you are as excited as we are about this!